It’s great that you visit this section which is one of the most popular ones on our page. 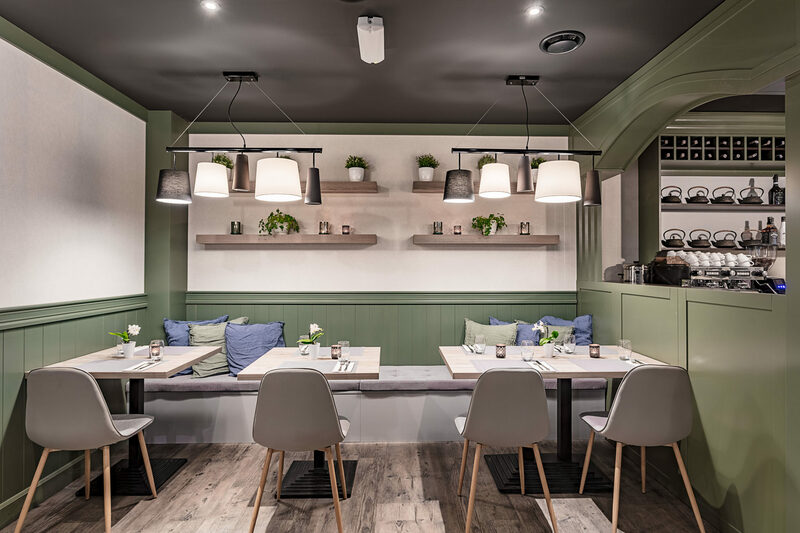 Of course, restaurants are to eat great food so you’d better check before :). We present you our perfected menu. It is the result of many experiments on ourselves and our friends which we have hosted and fed, asking for constructive criticism and comments. We hope that our offer will appeal to your taste buds as it does appeal to us. Perhaps we are not too modest, but this vegan „lard” is by far the tastiest pate in the world! This utter deliciousness should be devoured by buckets and not as a small starter. It’s perfect for breakfast, lunch and dinner, in fact - why bother with other dishes if this one is so great??? Variation on the traditional bacon wrapped asparagus, but with courgette instead. 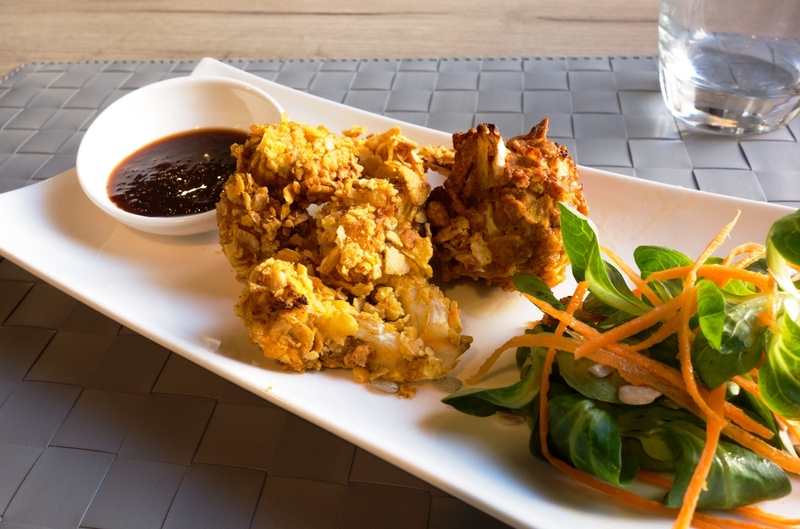 Last year Ania took part in a cooking class in Chiang Mai in Thailand where she learnt the secrets of this starter. We have made just some tiny changes to make the filling more aromatic. The result is truly amazing! Beets are amazing autumnal vegetables that we felt enthusiastic to put on our menu. In this starter we spice it just like a delicate tatar, which is nicely balanced by the depth of goat’s cheese and spiciness of rocket salad. Hands up, who knows „tuna mayo”? It’s the classic sandwich spread that was an inspiration to this starter. Made of tofu, nori and nutritional yeast, this paste pretends tuna mayo like nothing else. 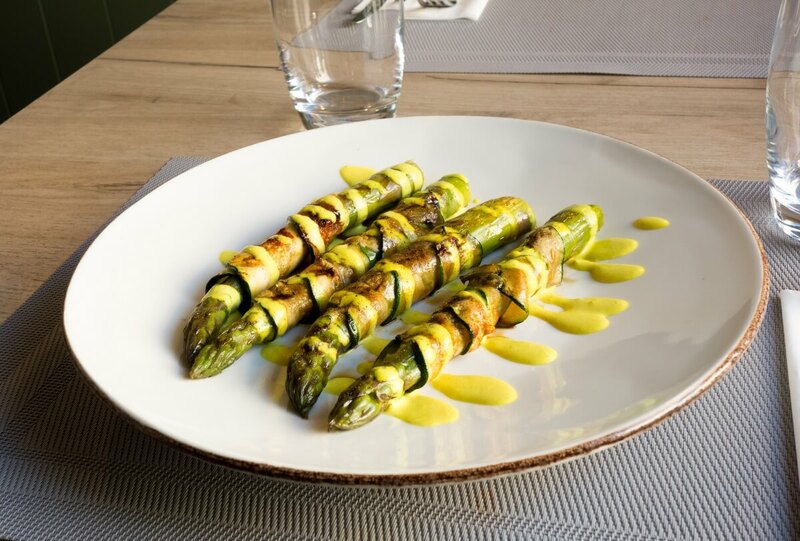 Wrapped together with fresh veggies in thinly sliced lightly grilled courgette, it will be a perfect healthy & flauvoursome appetizer. For us food needs to have three things: amazing taste, beautiful appearance and nutritional value. We are delighted to report that this salad fulfils all three criteria. It’s hard not to like this salad - it’s full of vitamins and ntotally invigorating. We will find a lot of colours here: the green of salad, cucumber and celery sticks, the red of peppers and cherry tomatoes, the orange of carrot, all combined to create a veritable palette of colours. Topped off with a sprinkle of sunflower seeds and a scattering of mixed sprouts, this dish is as vibrant as it is nutritious. Burger is an absolute must on our menu! Armed only with our taste buds, we embarked upon the quest for the perfect burger and this is the result: a taste of the divine that’s as good for the body as it is for the soul! 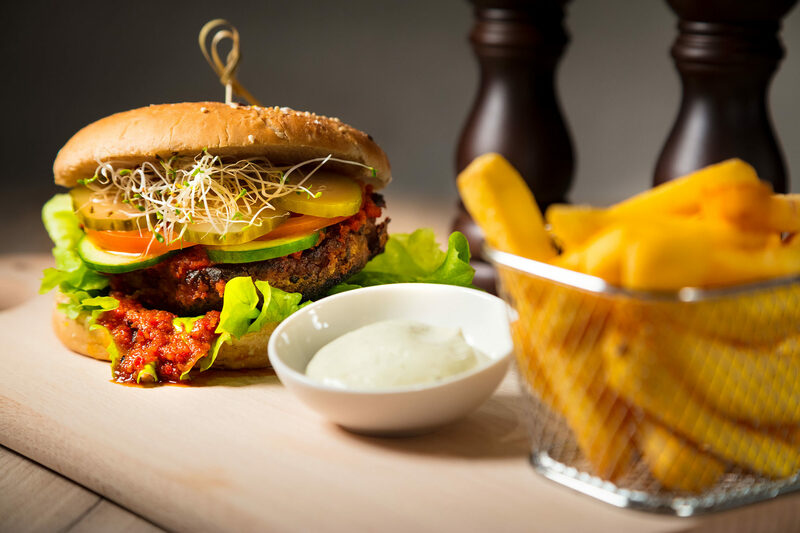 Accompanied by BBQ sauce, crispy fries and fresh basil vegan mayonnaise, this is truly manna from heaven! As soon as we started thinking of the new menu, most of the team proposed stir-fry noodles (because for you it is just another item on the menu, and for us it’s daily lunch ;)). Proboably everyone loves Asian flavours. 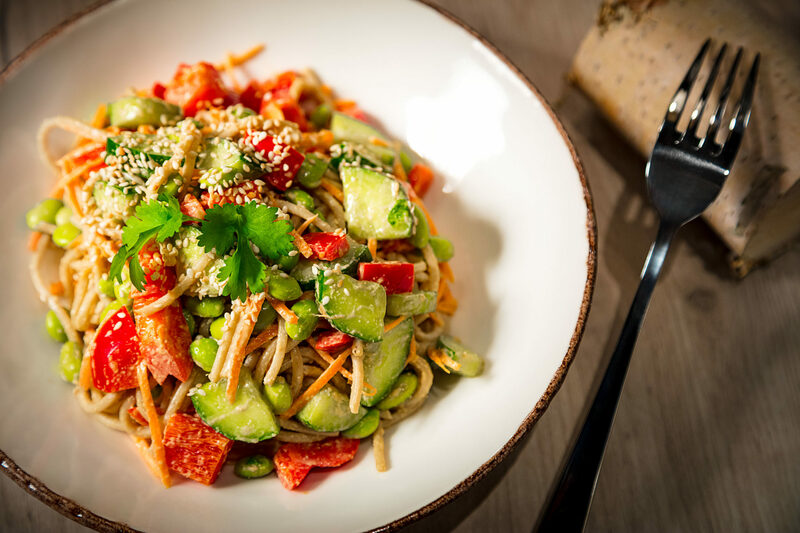 In this instance we propose a lot of vegetables, aromatic sauce and marinated tofu which together with noodles create a satisfying and flavourful meal. Do you know that Tikka Masala doesn’t come from India, but rather from UK? In fact, it’s one of the most popular dishes there (yes, even more popular than fish & chips!) and quite honestly we can’t be surprised - this rich mild aromatic sauce full of Indian spices is truly addictive. Last year for Krzysztof’s birthday Ania decided for the first time in years not to take him out to dinner. Instead, she cooked him a special birthday meal at home. For the main course she prepared the dish you find here - and it won them over immediately. What could be a better advertisement than that? Fresh burrito is lovingly filled with a red kidney bean and butternut squash relish, guacamole, rice, cheese and yoghurt. (The vegan version of this dish will be served without the last two ingredients). In order that our guests don’t get bored with our menu, we need to be creative, we need to experiment and discover new flavours. What have the chefs proposed this week? We are all too keen to know! Quesadilla with cheese, oregano and cherry tomatoes. Crispy Cauliflower Wings, served with Mixed Salad & home made BBQ Sauce. Let’s play. Order a brownie and tell the person serving you at least six of the ingredients inside and we will offer you a complimentary coffee as a prize. Please note: the list of ingredients needs to be given in one breath! 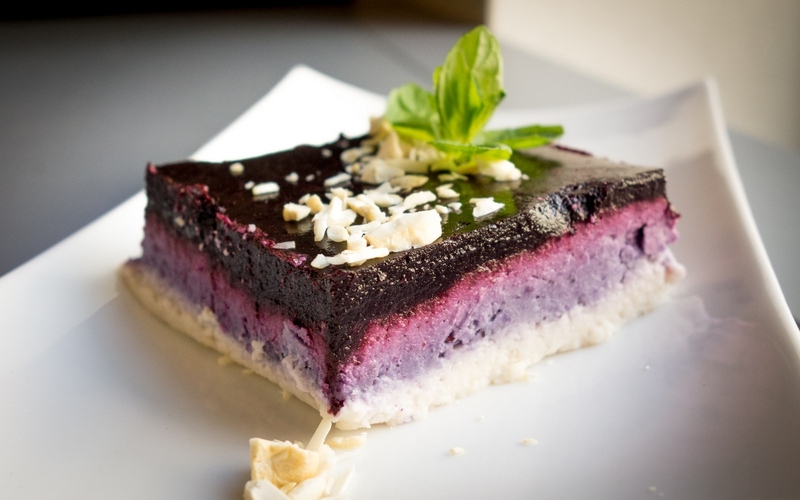 Four layers of this mock cheesecake create a delicate dessert flauvered with antioxidant-busting blueberries. It’s truly a divine manna from heaven :). This Italian classic dessert is not only a great finish to an amazing meal, but also will positively surprise many of you, as this version is 100% vegan. These amazing treats are hand made with only fresh ingredients by Magda from Altana Smaków (on the other side of the street). With all honesty we can say these are the best ice cream in town. 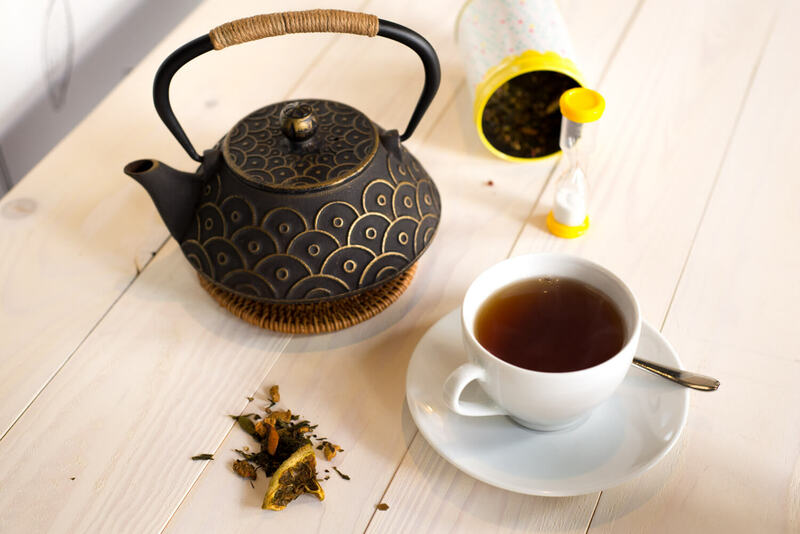 The mellow and floral taste of this classic black tea goes very well with most of our dishes, especially those with Asian flavours and those containing kidney beans. Sweet, small and unique fruits of wild strawberries dipped in black Ceylon tea is a true treat to our taste buds. The green pearls of Shangri-La are grown by organic means in the tea region of Ilam, Nepal. After the harvest, the leaves are left to fade a little and then hand rolled and placed in a special machine, which shapes them into emerald-silver pearl leaves. The tea surprises the palette with a soft and floral freshness. This blue coloured tea is an absolute best seller at Manna! A mixture of blue flowers, yellow and white cubes of pomelo fruit and big chunks of watermelon together with high quality green tea will ensure you are in Summer mood in no time. Mysterious perfumes of the Orient lie hidden in this perfect combination of green teas. Delicate petals of Japanese magnolia, red petals of cornflower, pieces of raspberry, strawberry and elderberry will seduce even the most ardent tea aficionado. Chinese Kombucha contains a wealth of micro- and macronutrients and is regarded as a body cleansing medicine. Combination of Kombucha and green tea with added prune and mirabelle plum flavour will guarantee not only a healing experience, but also the one that is truly flavoursome. An exceptional combination of Chinese white tea varieties, full of rose and jasmine aromas and a touch of fresh lemon. The entrancing and divine bouquet will remind you of the blooming alpine meadows in Spring.. Maple syrup is often called the ‘Gold of Canada’. The perfect accompaniment to pecan or walnut desserts, it is no surprise that it also goes really well with the floral red tea of Oolong. The silky aftertaste of this infusion is like something from a fairy-tale or from a dream. Once tasted, never forgotten. A South African infusion which provides many health benefits. 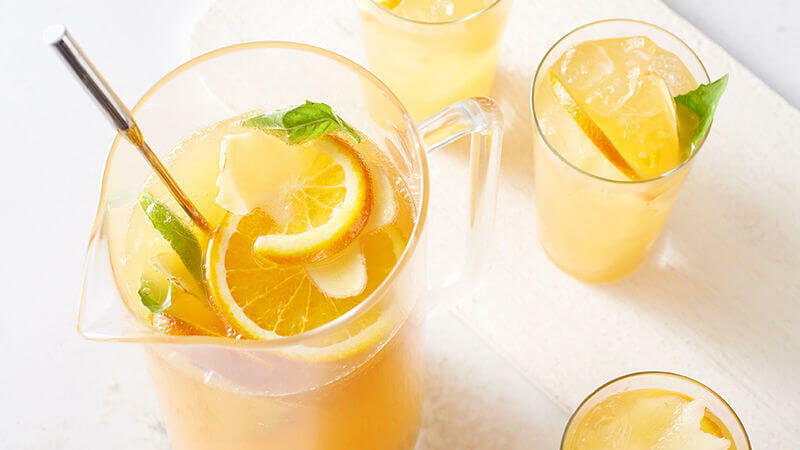 This theine-free tea is characterised by a strong citrusy taste of orange and lemon. Ideal as a hot beverage, it is also wonderfully refreshing when drunk cold. This classic ayurvedic recipe with nettle, cinnamon, ginger, cloves, white pepper and cardamom has been known in India for centuries. It’s the perfect all-rounder to be enjoyed whatever the time of the day, whatever the season. The healing properties of Pu Erh have been known for thousands of years. This tea is just perfect for richer dishes such as spring rolls or burger. Mango, strawberries and pieces of vanilla give this tea a refreshing and sublime taste. There is a thing about coconut that either you love it or you hate it. If it’s the former, try out this sweet aromatic tea - you will surely appreciate its coconutiveness :). The tea is made with natural ingredients only, so after it is infused, you can enjoy eating what’s left. This composition is not suitable for vegans. Juicy crimson fruit infusion with raspberries, cherries and banana pieces provides a truly exceptional tea experience. All our wines are organic and vegan. Fresh sauvignon likes yellow fruits, herbs and green leafs. Crispy and seducing with flowery notes. It will bring the best out of the dishes with a lot of juicy vegetables with green accents. If you’re still not sure what wine to choose, we recommend Riesling Feinherb. It perfectly combines the acidity with the sweetness, flower aromas with a palette of ripe apricot, quince and mirabelle plum. Mineral and citrus notes will make the dish taste even lighter and more aromatic. Chardonnay as always elegant and pleasantly flesh-coloured. This time it offers fresh bananas and pears on a flower scented acacia. Hot Spanish cuvée is full of dark ripe fruits. Spices, oaky notes and a lot of soft tannins will make this wine a great accompaniment to the dishes that contain beans and mushrooms. Blanc de Noir is not a wine to drink solo. Fruity acidity of this wine and its spicy accents demand good food. The name says it all! A lot of tropical aromas, spiciness, cream body and curves. At the back you can taste oaky aromas. On its own this wine is only f...g good, but with our food it becomes f...g excellent! 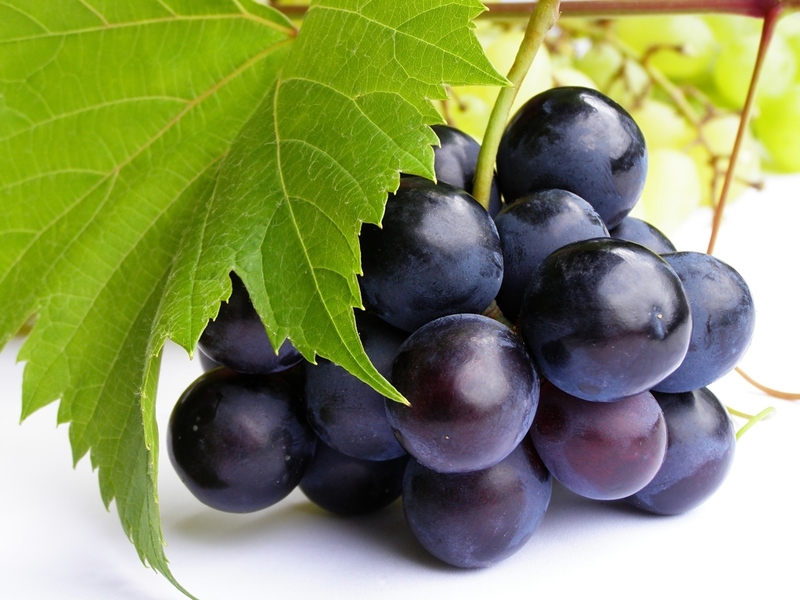 French grape variety prepared the Spanish way. Merlot - fruity, but still thick, medium bodied and a bit wild. It will surprise us with aromas of herbs, licorice and skin. Per primo, Primitivo does not mean primitive, quite the opposite! It’s called Primitivo, because it’s primo, that is first! It matures as first in the vineyards of Southern Italy and is ready for harvest. Primitivo is warm, silky, full of juicy dark fuits tinted with accents of spices and chocolate. Prosecco - sparkling wine which needs no introduction. Refreshing as a morning dew. It’s light, flowery, with clear apple accents.